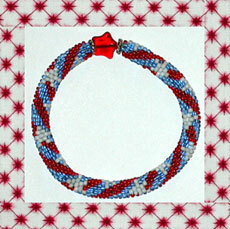 Show everyone your patriotic spirit with this fun crocheted bracelet! For a special Christmas bracelet string a red & green background with silver or gold stars. How to "Bead Crochet" instructions are not included.